The Golden Ratio: Myth or Magic? 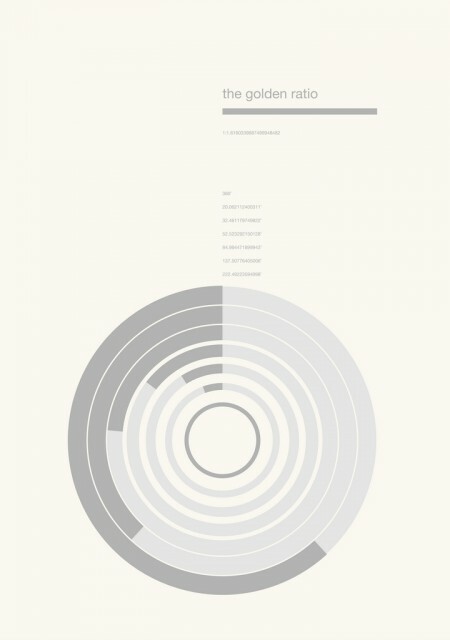 If you’re a designer you’re no doubt familiar with the concept of The Golden Ratio. People often invoke the idea to explain why something is inherently well laid out or pleasing to the eye. I have heard people say they see it in some of my work, but I’ve never knowingly tried to pursue it. And that’s apparently the whole point; even if we don’t consciously know it, they say we are constantly seeking it out. When the Golden Ratio presents itself to us we subconsciously recognize it because it supposedly mirrors the proportions of our own human form. Load of crap? I thought Yoga was a load of crap but now my knee is better. But for the record, I still don’t believe in wizards and/or gemstones, except in medieval times when both apparently worked great. Whatever the case may be, this guy sure seems to think everyone’s favorite ratio isn’t all that golden. Keith Devlin wrote an article for The Mathematical Association of America entitled The Myth That Won’t Go Away and in he he posits that the entire concept of the Golden Ratio as it pertains to aesthetic appeal in humans is a falsehood perpetuated by centuries of myth. He does concede, however, that “the appearance of the golden ratio in nature…is real, substantiated, and of considerable scientific interest”. I came across the article in @AisleOne’s Twitter who, as it happens, is a proponent of the application of the Golden Ratio in web design and typography. For the record I don’t really have an opinion either way, just haven’t studied it enough. But I thought it was interesting to hear a dissenting viewpoint on the subject given that everyone else I’ve ever talked to about it only sang it’s praises. Makes for an interesting debate I’m sure, anybody have any opinions they’d like to share? By the way, when I was searching for an image for the article I came across the poster you see above via Myleftisyourright. You can also find some other cool stuff in the same gallery.